Elizabeth falls down the stairs, but is conscious when Hayden shows up in the stairwell. Franco finds them as Liz loses consciousness. The backup generator finally kicks in. 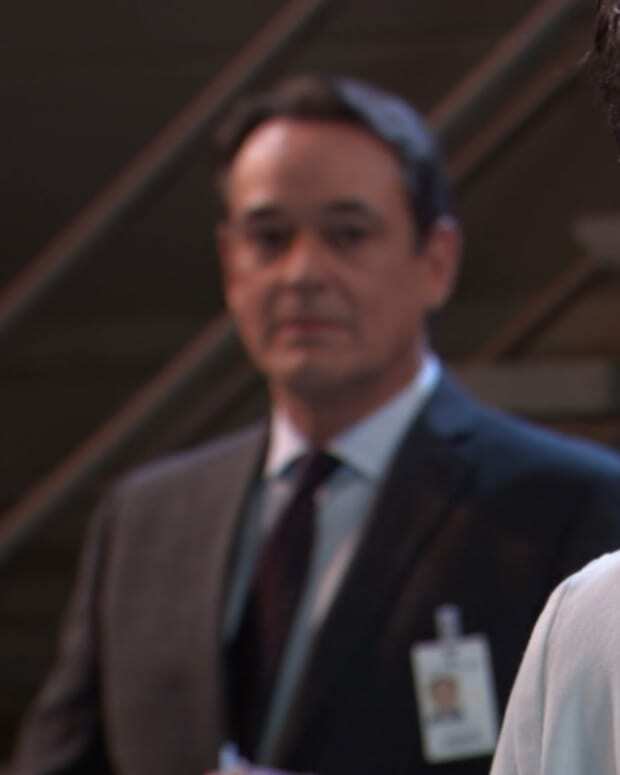 Monica sends Finn and Andre to check on all the patients while she contacts the maintenance crew and security. Felicia tries to talk Maxie down. She goes on about Nathan still having a thing for Claudette based on his reaction to Griffin. Felicia wonders what it will take for Maxie to forgive Nathan. Nina wants to know if Nathan still has feelings for CJ. Nathan swears that he loves Maxie, but admits that he&apos;s still upset at how CJ played him. Nathan claims he wasn&apos;t jealous, but was mad when he attacked Griffin. Nina says Maxie is insecure about CJ and that Nathan needs to work at getting her back. Claudette finds Griffin at work, determined to discuss the kiss between them. She believes that he still loves her. Griffin says the only thing he feels is the pain from the bullet. CJ says his heart is with her not the priesthood, and that she can be better with him. Griffin wonders why she&apos;s in town and what she wants with Nathan. CJ says she&apos;s in trouble, but doesn&apos;t give details before Griffin is called away. Nina and Felicia run into each other. They make small talk before defending their respective relations. Nina is certain the two will find their way back together. They share a hug, which CJ sees. Ava has Holt help her break into Paul&apos;s hotel room to search it for the cufflinks. Andre updates Monica that the electrical panel malfunctioned because it was tampered with. Monica updates Paul, who says he&apos;ll advise the police. Nathan finds Maxie and admits that he&apos;s upset with himself for not seeing CJ for who she was, a user who never loved him. He swears that he&apos;s free of Claudette and throws his wedding ring away. Maxie agrees to marry him and hopes CJ is out of the picture for good. Franco sends Hayden for help. She runs into a suspicious Paul, then gets Finn. Franco pleads to God to help Liz. Paul has questions for Hayden, who explains that she saw Liz on the stairs before Franco got there. Finn wants the truth from Hayden, who says she was angry with Liz but wasn&apos;t responsible. Ava finds a package of derisifol bottles in Paul&apos;s room. Paul comes up behind Monica with a syringe.